Another of our project members presented their research at the December Late Antique Archaeology research seminar at the University of Kent. Jo Stoner, whose PhD thesis focuses on the cultural meanings of late antique domestic objects, has recently been examining the various cultural meanings of baskets, and spoke to the audience about the baskets produced in monasteries in late antique Egypt. Example of a sewn plait basket from Roman Hawara, Egypt. Petrie Museum, London [UC28048]. Jo’s research has revealed how early Christian monks produced baskets for both economic and cultural reasons. It also seems that these baskets held a specific value in wider late antique society. 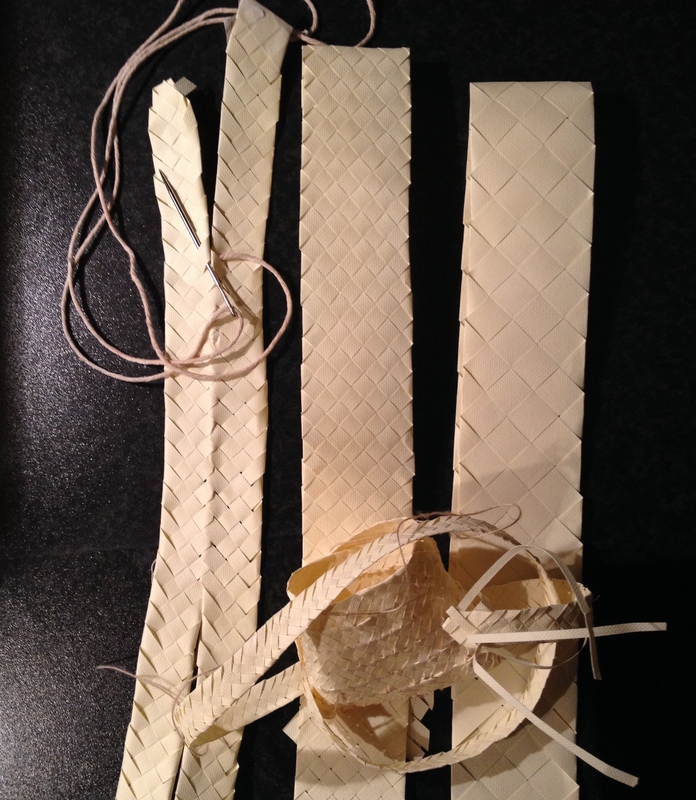 Monks plaited strips of palm leaves then stitched these braids together to form ‘sewn plait’ baskets. The process of construction was significant for monks in terms of meditative prayer, and also because the process emphasised the ascetic nature of the monks’ lifestyle. The baskets could also have a specific spiritual value for the ordinary late antique Egyptian, who could buy these baskets in markets throughout Egypt. Jo’s examples of different size plaits, and how they were sewn together. As part of her research, Jo attended a plaited basketry course to learn the basic techniques used in this kind of basketry. This has allowed her to make some material examples of the kinds of plaits that the monks of late antique Egypt would have used, which she brought along to the seminar. 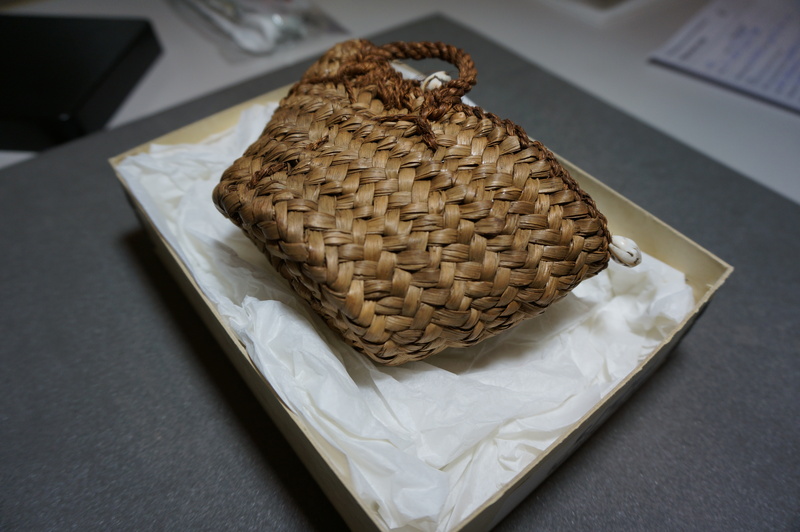 The surface of this kind of basketwork appears continuously plaited, so these examples were invaluable in demonstrating exactly how the monastic baskets were constructed! Seminars in the Late Antique Archaeology series are held every month at the University of Kent and open to all. The next seminar is on January 23rd and will see Christopher Sparey-Green discussing late Roman Canterbury. It will be held from 1pm-2pm in the Lyons Room in Eliot College, and all are welcome.